Different strokes for different folks. It's still riding what the owner can handle and get outside and ride on less than 4 wheels. Bob.. received his 2015 Can Am yesterday..
but for Bob.. He rides OK.. but with wife he drops the bike at stops... short legs.. and over 70..
or on some rides.. Bob rides and she on the back. ?? i like to ride atv also. after many years on Japanese wheelers i thought it was time for something new. bought a 2016 can-am 570 new. good motor but the rest of the wheeler was junk. sold it and back on a king quad. can-am will do anything to get out of a warranty claim also,they will just refuse it and your stuck. Up here CanAm quads and UTVs are highly regarded for power, speed and off-road, trail capability. They are known to need more maintenance, but can be made reliable with more PM. The Japanese ATVs are generally regarded as better value and more reliable. Honda is considered most reliable, by a ways, and least capable as ATVs in the bush go. Suzuki, unfortunately, is treated like a red headed stepchild in this region and I'm not sure why. Its a tough sell, even for their dirt bikes. The GSXRs are highly regarded though, as well they should be. Not sure why the rest. It wasn't always that way. my 570 was powerful but whats the point if it falls apart? the visco-loc system is inferior to a true 4 wheel drive locking system. it was like i had to put a diaper on it. Yes they do have their place. I hope to ride in open air till I die. I guess one of the many things I can't wrap my mind around is "training wheels " on a bike being ridden by a able bodied guy. Now, don't get me wrong, riding is riding, but i believe in that saying about riding mopeds. And I think training wheels should be included. Don't do it in public. FWIW, I'm 66 now, several medical issues, but still able to ride. As it stands right now, I don't believe, if I could no longer handle 2 wheels, that I'd get a Trike. I was told by an old, crotchety biker, that men who choose to ride Scooters & Mopeds instead of motorcycles, do so because they enjoy feeling the breeze on their vaginas. rangers4u, lofty and jbrittjr like this. 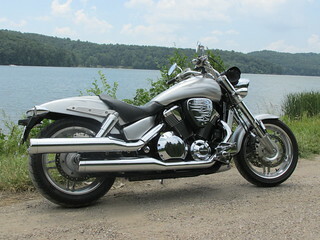 '07 1300 S XTreme Revolution Intake, Cobra Streetrod Slashdowns, Monster Baffles. 128,788 Miles R.I.P. '05 1300 S. BAK Slimline, Cobra Streetrod Slashdowns, Monster Baffles, Ultimate Big Boy, Saddlemen Drifter Bags. 6,700 Miles. Sold. ED Seat, Yamaha Light Bar. I have a couple of friends that got old and transitioned to Spyders and one of my younger lady friends has one. All of them have been mechanically needy and spent considerable time in the shop. And now, there's another choice - they have those baby-Spyders out now. The Ryker? Less than $9,000. Still, if ya can't ride two wheels, then these might be an alternative. Just make sure to buy the extended warranty. Last edited by Justa_Poser; 04-09-2019 at 09:57 AM. I have a reason not to work on them..
Last edited by chuck_VTX F; 04-09-2019 at 10:11 AM. It cannot be all that bad! Our former Webmaster jumped on the Spyder bandwagon many years ago. all cars made in Japan and sold in the USA. I only have one small brain... and every day it's keep getting smaller. Last edited by chuck_VTX F; 04-09-2019 at 01:55 PM. 2 Attachment(s) Marvels Miracle Oil?